Schedule your Lexus service today! As a Lexus owner, you’re used to driving in style. Nothing could boost the appeal your vehicle more than regular preventative maintenance services. Trust Hollenshade’s Auto Service to keep your vehicle operating at its best. Our convenient location in Towson, Maryland makes us easy-to-reach for your repair and maintenance needs. We’ve been in business since 1939 — since then, we’ve completed work on hundreds of luxury vehicles. Keep your car at peak performance. Schedule a comprehensive Lexus auto repair and maintenance service with us today. 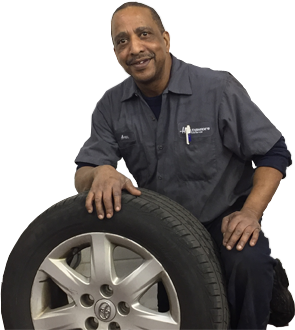 Our mechanics in Towson, MD are ASE-certified and use the latest diagnostic equipment. We provide accurate estimates and have longstanding connections with top-tier suppliers in the industry. Choose us for top-quality auto repair services with a higher level of quality and precision than regular dealership service centers. If you’re starting to notice changes in indoor temperature when riding your Lexus, it might be because of a defect in your air conditioning system. Schedule a Lexus HVAC service with us today. Our ASE-certified technicians will conduct an AC performance check. We repair all the components of your AC system, including compressors, condensers, blower motors, seals and hoses, and more. Your car’s drivetrain is one of its most complex mechanisms — and it is also ensures that your engine stays in top condition. The drivetrain provides power from the engine and distributes it equally among your car’s wheels. Hollenshade’s Auto Service conducts Lexus drivetrain diagnosis and repairs in Towson, MD. We provide complete transparency and communicate the condition of your drivetrain before conducting any major repairs. A fully functional steering and suspension system make a smooth ride possible. They work together to keep your vehicle’s wheels on the ground while preventing your car from veering away from the road. We conduct Lexus suspension and steering inspections then inform you of any necessary repair work. Count on us for a fair estimate and a job done right the first time. We make sure your Lexus performs well, keeping you safe and comfortable on the road. Bring your car in for regular auto repair and maintenance services at Hollenshade’s in Towson, Maryland. We’ve been serving long-term, multi-generational customers with honesty and transparency since 1939. Email us today to set an appointment.